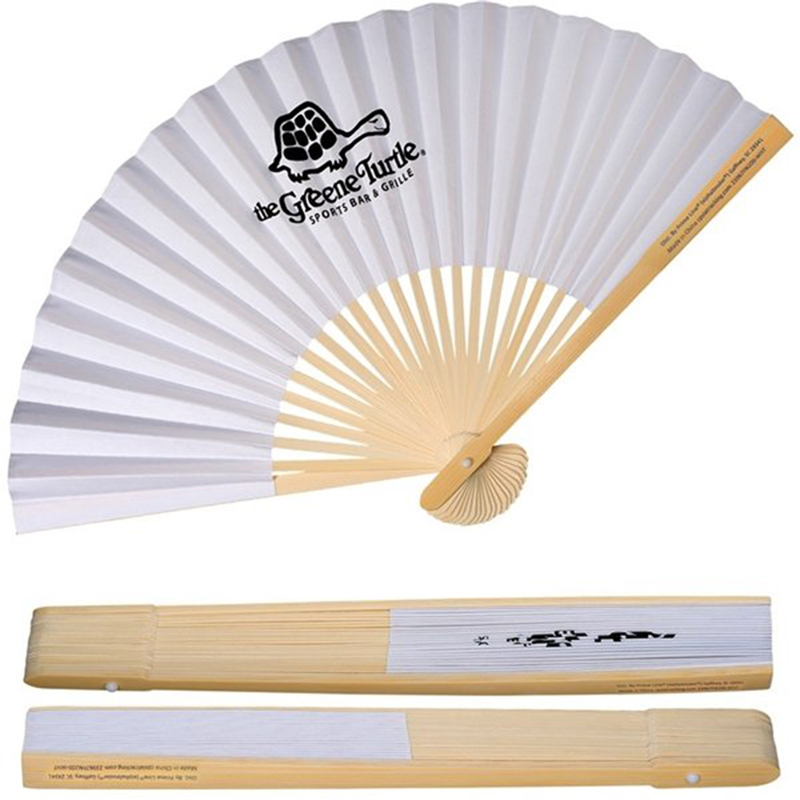 Folding hand fans are more portable, elegant, durable and functional than our standard hand fans. Folding hand fans are the original hand fan style. They are ideal for wedding favors, special occasions, just about any event you can name. These classic fans are suitable for any occasion that needs a touch of elegance. Great for any occasion. This is the #1 wedding favor. If you are looking for something more elegant than our standard fans, our folding hand fans present a high quality and functional item. These are made in the style of classic Japanese and Chinese high-fashion fans. They're sure to be a hit with your wedding guests. IMPRINT COLOR(S): Navy PMS 282 C, Reflex Blue C, Process Blue C, Carolina Blue/Baby Blue PMS 543 C, Red PMS 485 C, Teal PMS 327 C, Hunter Green PMS 357 C, Yellow PMS 102 C, Athletic Gold PMS 123 C, Orange PMS 021 C, Purple PMS 268 C, Magenta PMS 233, Pink PMS 183 C, Burgundy PMS 202 C, White C, Black C, Gray PMS Cool Gray 4 C, Brown PMS 168 C, Metallic Silver PMS 877 C, Metallic Gold PMS 847 C.
Font Styles: Apple Chancery, Arial, Avante Garde, Bookman, Bush Script, Comic Sans, Eurostyle, Frutiger, Futura, Garamond, Helvetica, Impact, Palatino, Times New Roman, Mistral, Optima.